Monday, Apr. 8, 2019, 12 – 2 p.m.
Are you looking for an on-campus student job? Then come out to the Student Employment Fair on April 8 in William Philip Hall. 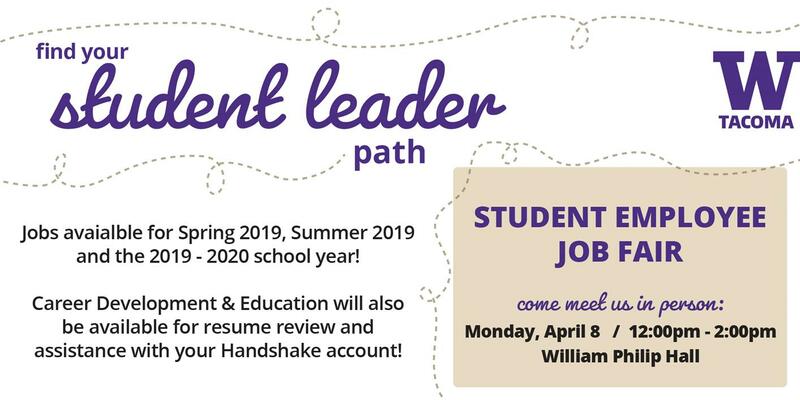 From 12pm to 2pm you can meet various offices that hiring for the Spring 2019, Summer 2019, or 2019 - 2020 academic year! Learn about the positions available and how you can apply. The Career Development and Education office will also be available for resume help and assistance with Handshake. See you there!